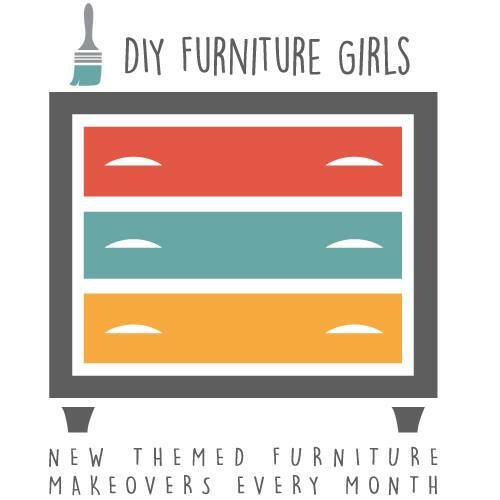 It's time for another edition of Themed Furniture Makeover Day, my favorite day of the month and this month's theme is Neutral. Neutral, that's a challenging one for me, both in life and my furniture makeovers. Rarely does my car, my energy level, my mouth, or my furniture makeovers land on this gear. having no strongly marked or positive characteristics or features. "the tone was neutral, devoid of sentiment"
2. a neutral color or shade, especially light gray or beige. I went with the Noun definition by using the colors white and gray. According to my research this is a Mid Century Modern Record Cabinet and with the resurgence of vinyl, it could continue to serve that purpose. My thought was that it would make a terrific small credenza in a home office. 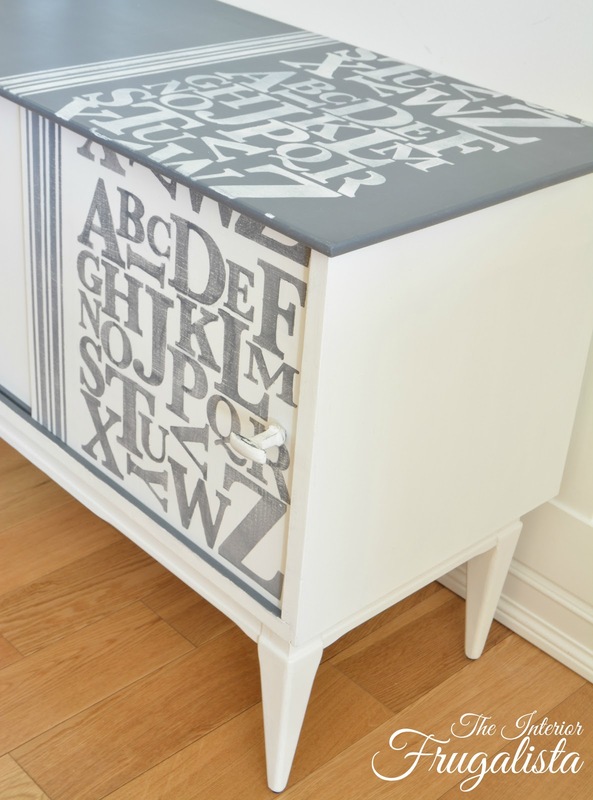 It could also be used at the end of a bed for blanket storage or a small media cabinet. The possibilities are endless. This is what it looked like before. We found it on a local facebook auction site. Other than a few paint chips and several missing wooden dividers, it was in really good shape. 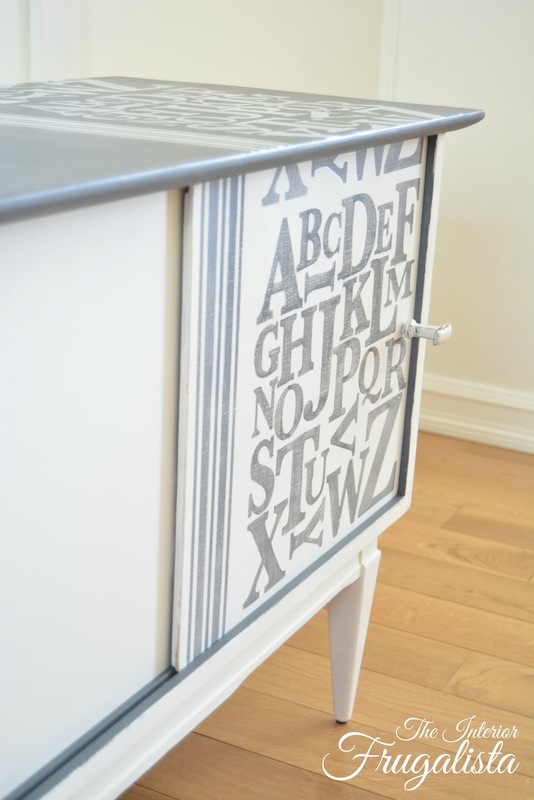 I painted the body and legs with Simplicity White chalk paint by Country Chic Paint. The top and interior were painted in the color Hurricane, also by Country Chic Paint. It felt unfinished - this is where my neutral challenge comes in. So off to Michaels to find the perfect stencil. 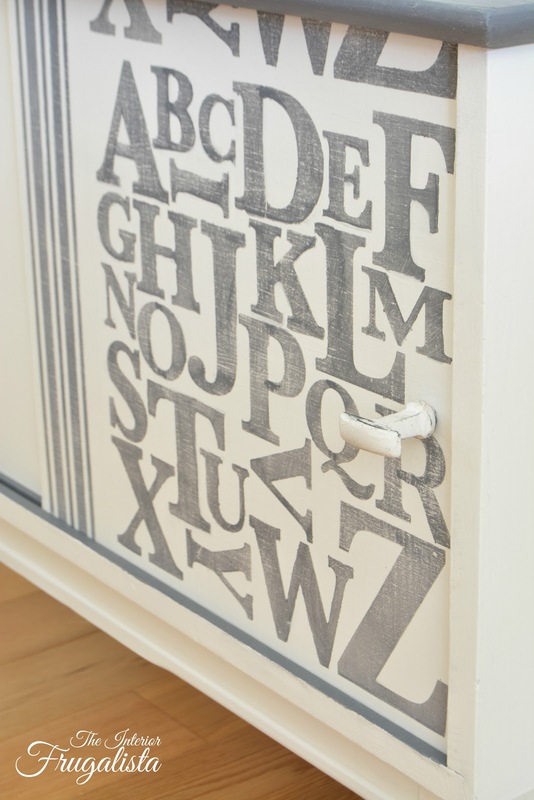 Using the same simplicity white and hurricane gray chalk paint, I stenciled the right side of the cabinet both top and front. It still felt like it was missing something and so I grabbed my grain sack stencil to frame the letters. Perfect! 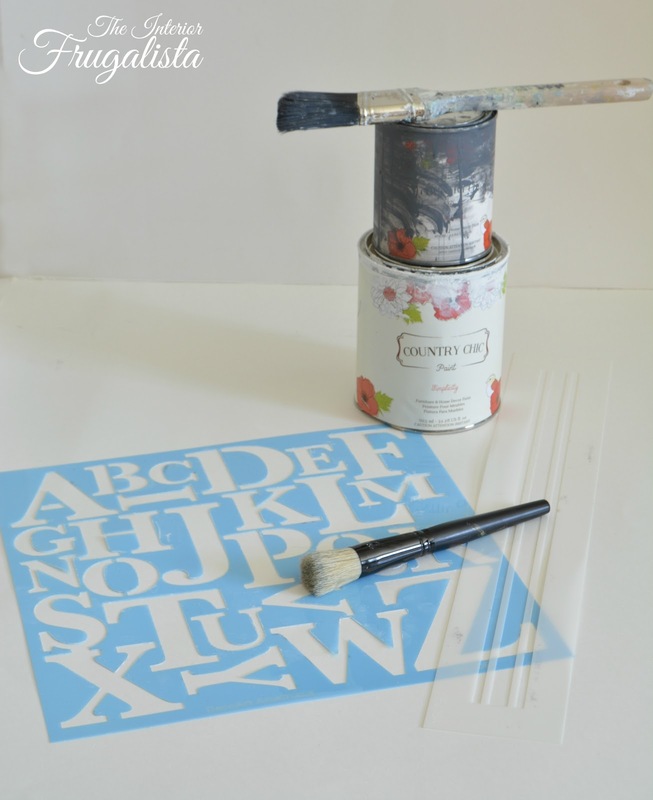 Using a sanding block I distressed the stenciled parts and then protected the entire piece with clear wax. I had these knobs in my stash from my trip to Hobby Lobby when I was in Niagara Falls, New York last December. Remember, I'm Canadian so this was a real treat. 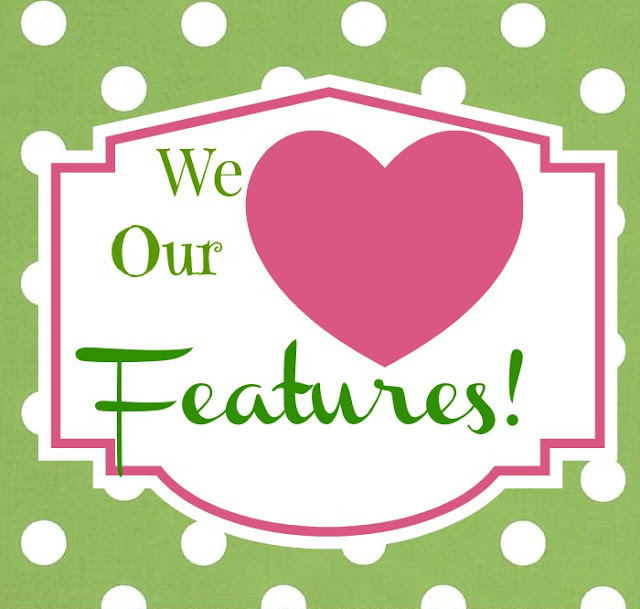 You can read about that adventure here at Canadian Girl's Maiden Voyage To Hobby Lobby. I'm quite pleased with how it turned out and debating whether to keep it for my office or sell it at the outdoor market in May. 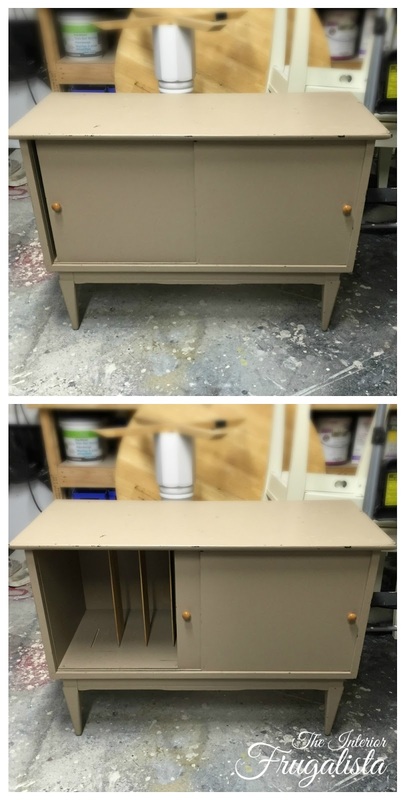 If you like my MCM Record Cabinet Makeover please share it with a friend and/or save it on Pinterest. 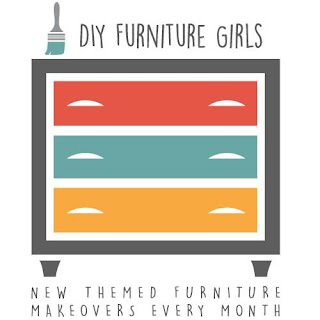 Time to head over and see what my friends from the DIY Furniture Girls group created for their Neutral piece. Please pin directly from their blog post rather than the links below. 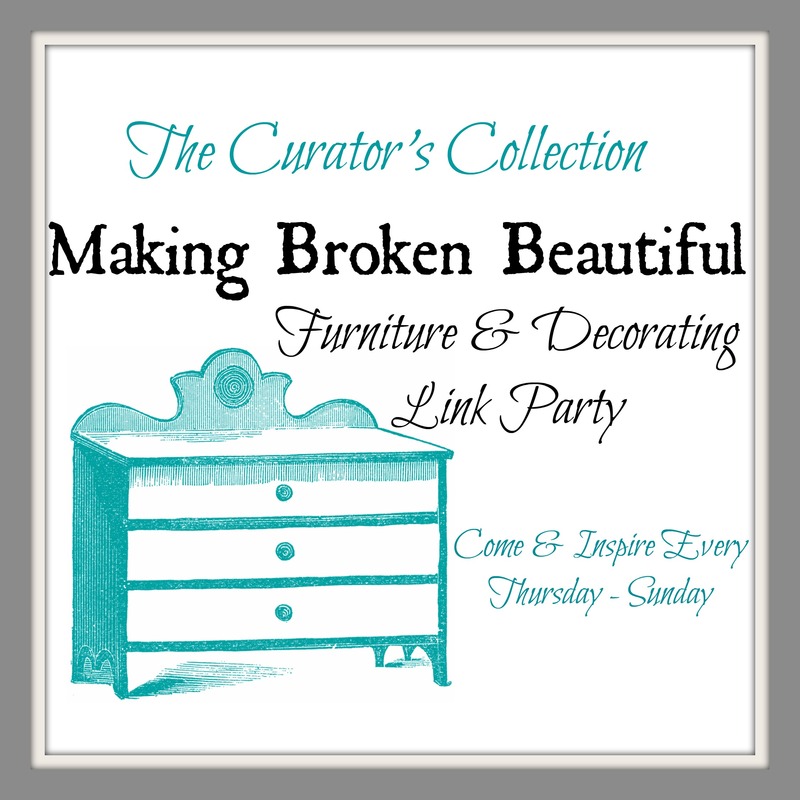 You'll find this project linked to these fabulous PARTIES.